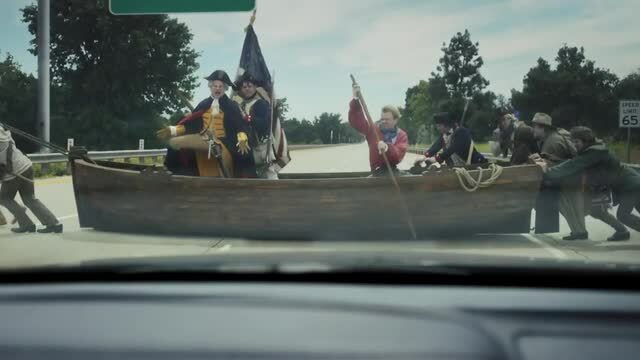 In this spot titled “Turnpike”--the latest entry to GEICO’s “It’s Not Surprising” campaign--the Father of our Country, George Washington, and his Continental Army suffer from a mix-up in directions. Instead of their famed crossing of the Delaware, they instead are in a boat crossing the Delaware Turnpike, backing up traffic much to the chagrin of commuters. This change in history is “surprising.” However, not surprising is GEICO being able to offer savings on auto insurance.